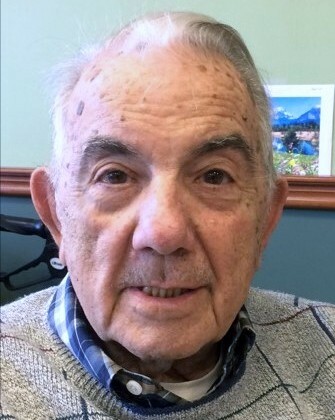 CARDINUTO, Orlando A., of Westbury, NY, died on October 26, 2018. Honorable U.S.ArmyVeteran of WW II. Beloved husband of the (late) Florence. Loving father of Orlando Jr. (Janice) and Linda Dean (late Edward). Fond grandfather to Michelle, Christine, Steven, Michael and Mellissa. Dear great grandfather of Anthony, Matthew, Olivia, Brandon and Jaclyn. Friends may visit on Monday 2-4 & 7-9PM at Donohue-Cecere Funeral Home, 290 Post Ave., Westbury, NY 11590. Mass of Christian Burial Tuesday 11AM @ St. Brigid’s R.C.Church. Interment to follow with military honors at Holy Rood Cemetery Westbury, NY. For the last 21 months he was residing at the L.I. State Veterans Home in Stony Brook, NY. A special Thank You goes out to the Nursing Staff who loved and treated him with dignity, respect, and most of all gave him the loving care as a family member.